Keeping Our Community Clean By Any Means. Promotional Incentives would like to thank Waterman Broadcasting and Delia from NBC2 for covering an important story for keeping our community clean. 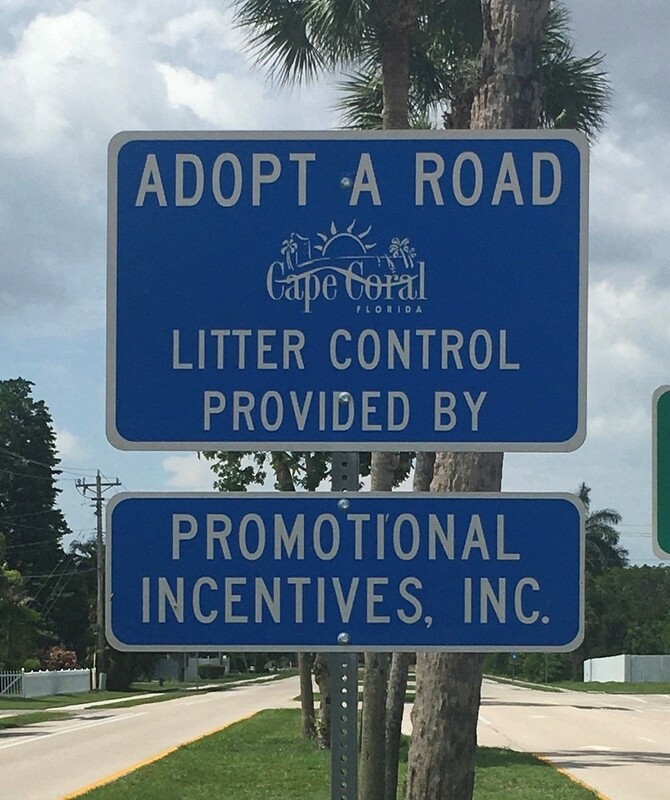 We have been the longest adopt-a-road sponsors in Cape Coral since 1992 and we are proud to help keep the neighborhood we live in clean. We believe it is a civic duty for members in our community to help keep the place we call home clean and safe. Enjoy this article in SW Florida Business Today about how Promotional Incentives, Inc. has grown through challenges over its 21 years in business.